My new favorite techie thing is Remind 101!! I started using it with my specialists and I love it. If there is something I need to let them know I can quickly send a message and not worry about having to login into my computer. There are other sites that do similar things, but I love that you can send a message out and not worry about getting a million messages back. There is also an App for it on Google Play and the App Store. 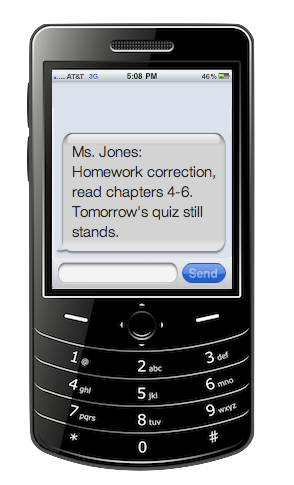 For Teachers, its a safe way for teachers to text message students and stay in touch with parents. Remind101 is a free, safe messaging service for teachers to communicate with students and parents via text or email. Teachers sign up for an account, create classes or groups, gather subscribers, and start messaging. This is all done without ever sharing their personal cell phone number, or collecting phone numbers from their students or parents.